Living with Mesothelioma–My Diary — Ray has a bad result for his Urine test. Ray had to get his blood test today so it was down to the surgery early today. I went in the car with him and walked Louis around while we waited for Ray to have his blood taken. 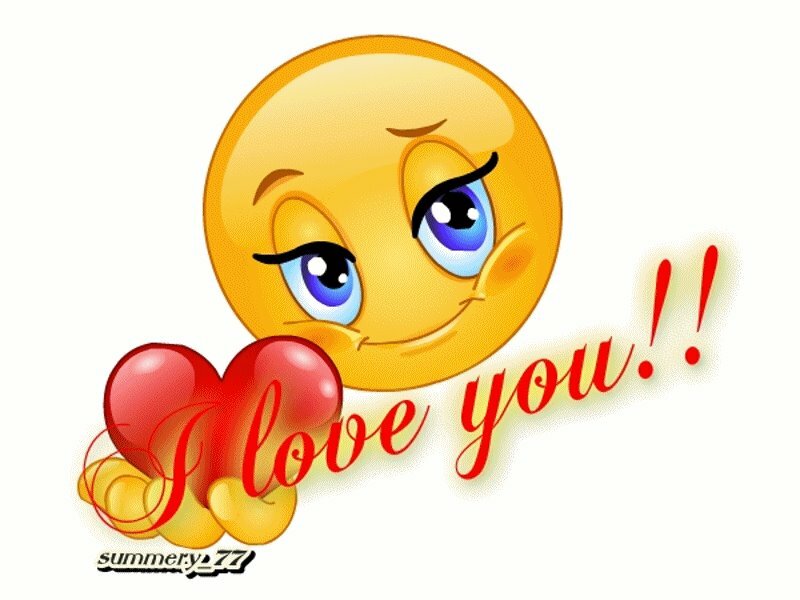 When he came out we traveled to Sturry to go to The Range as I had a birthday present to buy and another gift for a friend and they had just the things I wanted. 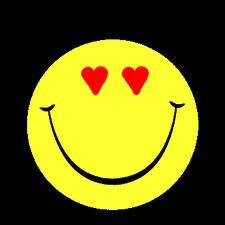 I will tell when I have given to my friends as they read my Blog and at the moment its a secret. On the way home we went to the farm shop and I have bought lots of fresh vegetables and fruit –all very healthy. We loaded the car up and got home at last. Coffee and a Sticky Bun was well needed. I watched a little of the Olympics show jumping and then had toast for lunch. I wanted to change around the Lounge so I slowly sorted that out and dusted around I know where all the energy is coming from as we are living on stress at the moment. We are still waiting for Rays results. The room done I was sitting in my chair when the phone rang. Our GP was on and he asked for Ray–Oh dear we just knew it was bad news. They have found protein in his Urine from the Bone Marrow. The lab checks for Bence Jones protein, a type of M protein, in urine. The lab measures the amount of Bence Jones protein in urine collected over a 24-hour period. If the lab finds a high level of Bence Jones protein in the urine sample. This is backing the GP,s Theory that Ray is showing signs of Myeloma. So he asked Ray to go to the Surgery and do another Urine sample so they are sure. We sat down and I fell asleep so Ray waited for me to wake up. We are really getting worried now. Gathering Louis of we went down to the surgery at 4pm so once again I took Louis for a walk around the Harbour where the Greta was docked. Built 1892 at Brightlingsea, Essex by Stones. Length 80ft, Beam 20ft, draft 3ft,displacement 49 tons. ‘Greta’s’ usual cargo consisted of grain, malt and building products. Her later cargo’s consisted of malt and beer. During the World War II, she carried ammunition to the naval vessels anchored in the Thames Estuary; Greta took part in the evacuation of Dunkirk. She is the oldest active Dunkirk Little ship. Greta has earned a quieter pace and now spends the summer months chartering from the South Quay of Whitstable Harbour. Ray soon came out and he couldn’t see me so I waved and Louis couldn’t wait to get back to him. Now we have to wait again for results. 1 Xray, 1 Urine test and a blood test –we really dont need all this waiting. Our lives have been taken over by hospital visits and appointment for tests. We never planned this when we retired in 2000. Its August tomorrow and I have a scan in Sept just to add to all the worry. I made a lovely curry for dinner and had strawberries and water melon. Comfort food. 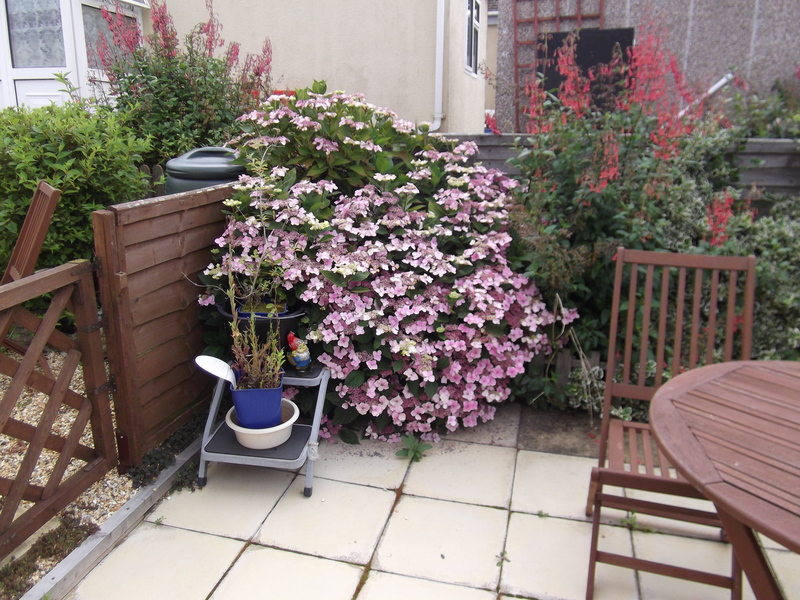 Living with Mesothelioma -My Diary- Monday and busy in the Garden again. I couldnt write a blog last night as I was so tired. Most of the day I was so tired. This is what Im like now and again I loose my energy when I do to much. I had worked so hard in the garden last week that my body told me to rest. –I did !!! I woke up today feeling more refreshed and so I tidied up roughly and dressed in working clothes again and finished the garden. All the over growth is out the way and the garden looks so much better. The area I have cut back and really must not let it over grow again. but it has been so wet this year. I have really enjoyed myself as I cut and trimmed and brushed and bagged up but I was exhausted and realise I do push my body. naughty naughty me. But now tonight my arms and hands have had more than enough and so I will now sit back and enjoy the garden by sitting in it with a glass of wine. Mind you the weather forecast is for rain tomorrow so I might need an umbrella. We did take the dog out for a walk and the weather has been kind to us again. Ray goes for his blood test tomorrow. His back is better and he manages to walk around. He put my new tap in as it look likes the old one must have froze up in the winter and was damaged. I kept saying leave it –don’t put your back out again –but would he listen –no of coarse not. So I can now use the hose to clean the garden again, but that’s another day. Living with Mesothelioma -My diary- A busy Saturday. We sat up last night and watched the opening Ceremony –Well I stayed awake Ray went in and out of sleep when we went to bed as the Athletes were taking a long time to enter the Arena. The Stadium look wonderful and it made you so proud to be British as we really do Pageant so well. Even the Queen played a part and it looked like she parachuted out of 007’s helicopter. So we were up late today and I came out of the bedroom to find Ray had slept on the settee as he had a bad dream in the early hours. That cant have done his back any good. 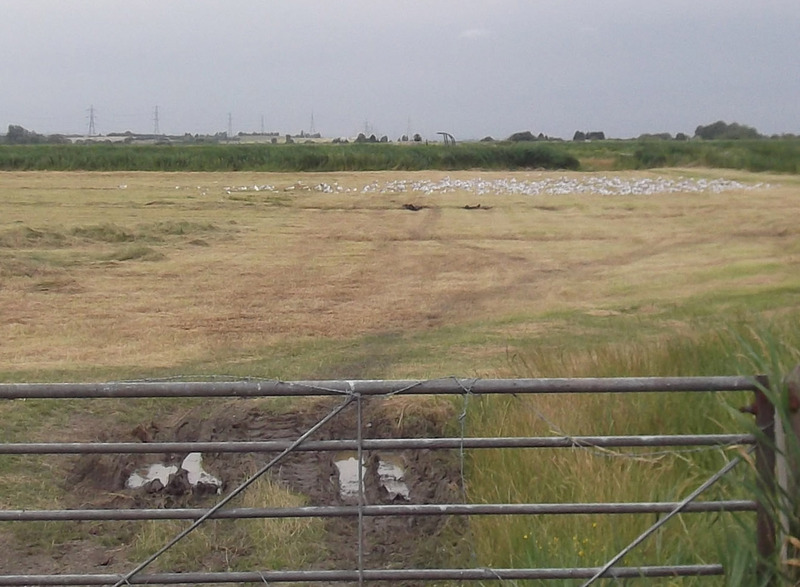 He had seen these birds all sitting in the field. The insects must have been better than the fish in the sea. His painkillers have been working so we went into the garden to try our shredder out and shredded the cuttings I did yesterday. 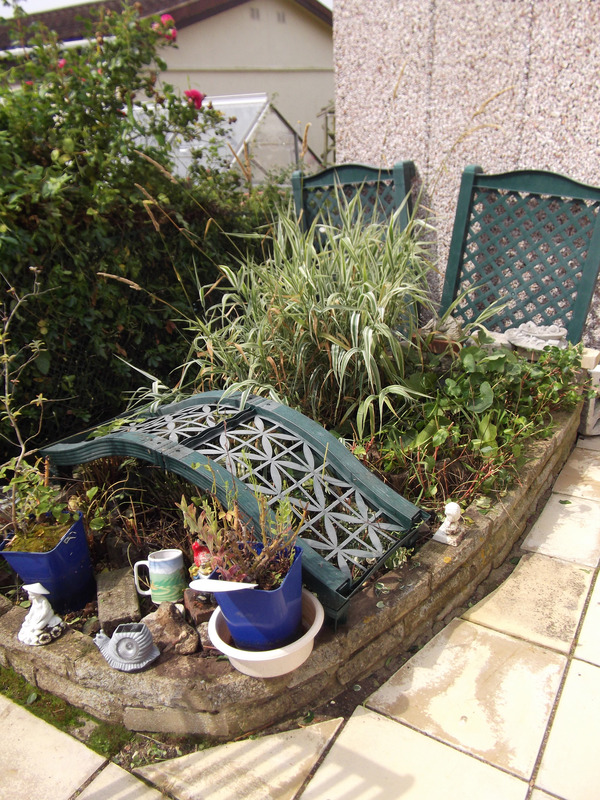 It worked very well and we had bags of cut up bark etc etc to put back on the garden to so no weeds will grow. We had some lunch and took the dog for a walk. then shut him indoors and went to Brogdale Farm shop. The butchers was great but the fruit wasnt so hot and no vegetables so we had to go to Sainsbury. Ray went into B&Q to buy an outside tap as ours has all ceased up in the frost and doesnt work anymore. I went into Sainsbury and did some shopping for all my super foods. Love watermelon at the moment and cherries and strawberries. When I got out and was wheeling the trolley to B&Q car park the trolley’s brake went on as I passed over the path with the knobbly bits. It must be a new thing as there were other trolley’s abandoned. I take it that they have done this to keep us from taking trolley’s out of Sainsbury’s -they must be fed up with collecting them from B&Q’s carpark. I had to carry all the bags of shopping myself as ray was sitting in the car and waiting for me but he hadnt seen my predicament. We went back home and after unpacking the shopping we had a coffee and then I cooked dinner. I couldn’t relax so I defrosted the fridge and cleaned out the porch. That did wear me out so I sat down and worked on the computer. So that was our day today. I think we are both on edge and now we are playing the waiting game for results of Ray’s X rays and Urine test. Its his turn now after he has devoted so much time worrying about me and looking after me, Im now doing it for him. Living with Mesothelioma -My Diary– it’s Rays turn for us to be worried his health -what a day!!! Rays back was very bad today but he had already made an appointment -well the GP had made the appointment bless him after talking to ray on the phone yesterday. We got up early and I went with him and took Louis so I walked him while Ray went in. I was annoyed as I realised they have taken rubbish bins away in Whitstable so I had to walk around with Louis poo bag –on a hot morning thats no joke. I found a bin at a bus stop. Took Louis back to the car and went into the surgery but Ray was still sitting there. As I went in my Gp was calling another patient in –I waved and said good morning as we now know each other very well because of my illness. We have been through a lot together. Ray finally went in and he came out a little dazed. He had to go for an Xray, he said, but first he had to give a Urine sample and will have to have a blood test. I was mystified as He only had a bad back!!! He passed a form to the receptionist and said to go to Estery View sugary at 1.30pm today for the Xray. Oh dear God we hope not ad hope all the tests just prove a bad back. The GP was very worried about Rays very stiff neck and back and he has given him strong painkillers and is making an appointment for Acupuncture. You just never know what is around the corner. poor Ray has been putting up with this since January and leaving it in the hands of a Chiro man I jokingly called a bone cracker. We came home called in the chemist and collected the painkillers for him to take straight away. We had lunch and then walked to the Surgery. http://www.whitstablemedicalpractice.co.uk/ We are so lucky to have Estuary View as it is like a small hospital. This is the xray room where ray went in and was soon out again. We walked home and I made a Raspberry Milkshake for us to sit and relax. 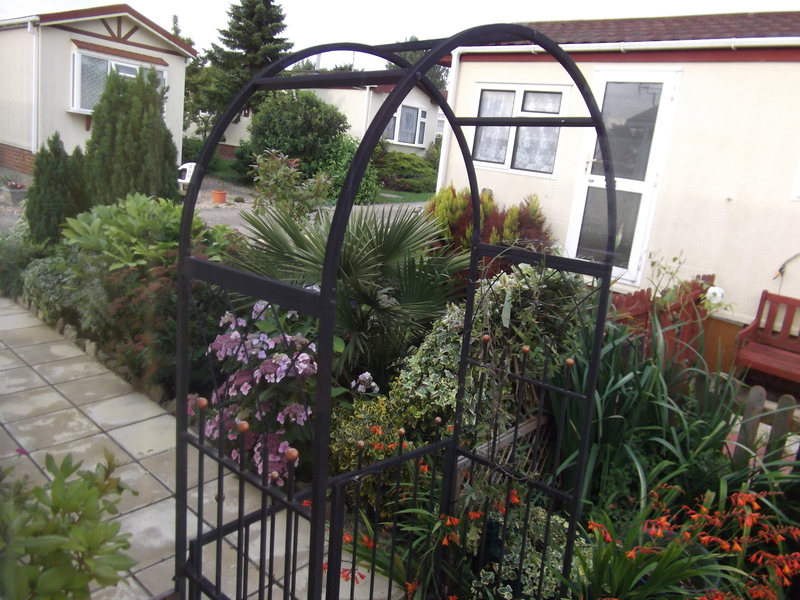 I couldnt so I went into the garden and did a bit more cutting back so I just have a small area left to tidy and then Im finished until the next rain makes things grow back again. 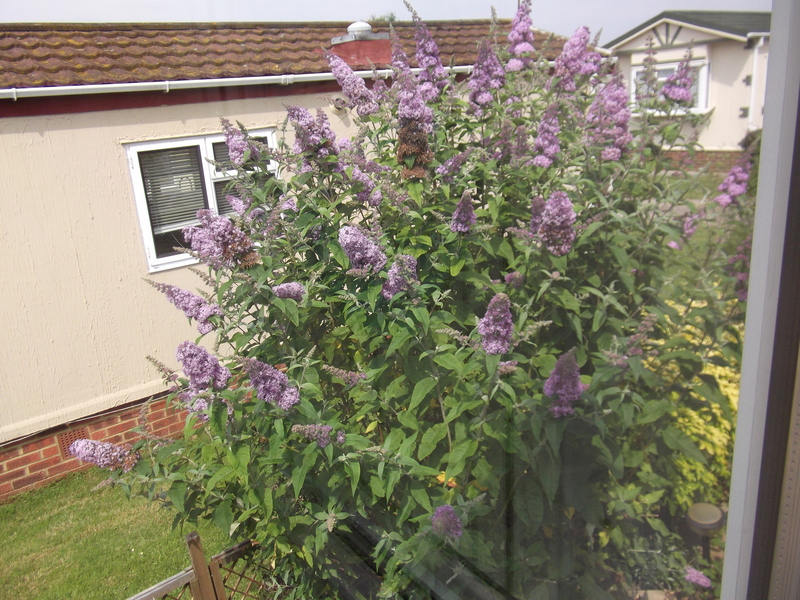 The Buddleia tree is very large this year but I have not seen 1 butterfly on it this year. So that was our day –we woke up this morning and we never knew what was in front of us.??? Living with Mesothelioma my diary–A Busy day and an invite to give a Speech !!! The day started with cloud which made us sad as we only want sunshine now. I emailed my Macmillan Nurse with the project set for me yesterday. I laid out what had taken place and how we could get round the problem. I said —- Thanks for suggesting I joined the Lung Dog Meets but now we have a project and so I wondered if you would help us to achieve a conclusion. Julie Ray and myself were at the Patient and Carer’s Introduction and we were set the task of talking about what worried us the most within Cancer Treatment and how we could achieve a practical solution. I came up with my pet hate (and Dr Cominos) and that was scan results. This last visit was a prime example as my notes weren’t even on Dr ——– Desk and we had to wait for them to be found and they were still with Pathology with my report of my scan, which had been 10 days before. The question is :- They are now scanning 7 days a week– so they have the facilities to carry that out– but does this create a back log in the Pathology dept, where they have to read the scans and create a report on their findings. Solution :- Do they need more staff or more hours to read the scans and carry out a report. Or should the appointment system be tailored to coincide with the results ie- a patient receives an appoint for a scan first then a follow appointment to see the Oncologist ensuring the results are available for that appointment. I was amazed she emailed back that she had spoken to my Oncologist and the problem is being discussed with the departments. So I should have a report back by Sept Conference —with a bit of luck. I have been asked to give a talk in November at a Conference at the K&Canterbury Hospital — Lung Cancer Study day in November to co inside with Lung Cancer awareness month –which becomes a goal for me to reach. We walked Louis around the beach and we had to buy stamps –75 pence makes posting letters so expensive. Rays back got a bit better as we exercised with walking and he has an appointment with the GP tomorrow as its been going on since January. The Chiro does work but ray wants to see if he can have pain killers for the bad times. I had an email from my friend Pat and Dave (our friend who has a Lung transplant) he has been ordered to Renal as his kidneys are in trouble. I wish him all the luck in the world as he is one of the longest living transplant patient and he has always been my hero for positive thinking and he and Pat have given me a lot of support. Im waiting to see what happens tomorrow –nail biting stuff. I went into the garden and Ray helped me cut down some of the growth that the rain has been guilty of. The lace Cap looks lovely again this year—Tomorrow I have to tackle the grass growing in the cracks. 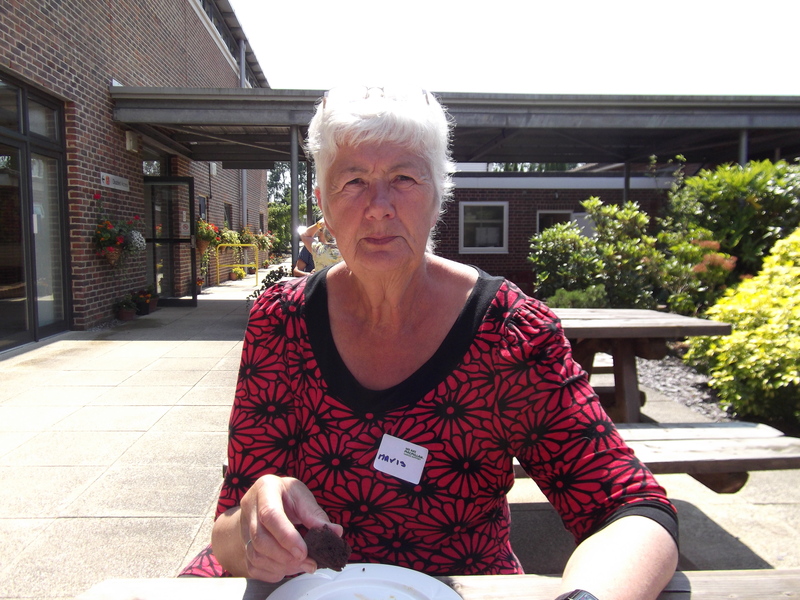 Living with Mesothelioma -My Diary Macmillan Patient Training Event. I had to get up really early and take Louis on a longer walk as he had to stay in doors all day. We opened all the windows for him and plenty of iced water. Off we went to East Malling Conference Centre which has been built at the Research Station. The Sat/Nav put us in the back way so we didn’t believe it and went all around the houses to get to the Front. A long Drive through the Orchards and we arrived. East Malling Research (EMR) is a subsidiary of the East Malling Trust and an independent provider of top-class research, development and consultancy serving the food chain and other sectors of the land-based industry. EMR is a company limited by guarantee and a registered charity. The company has a Board of Directors and is led by a Chief Executive. We all settled down to Introduction to User Involvement -A workshop- to use our own experiences of cancer to exert influence and improve cancer services. We all had to tell our experiences and then do a group ideas to action where we think changes should happen. 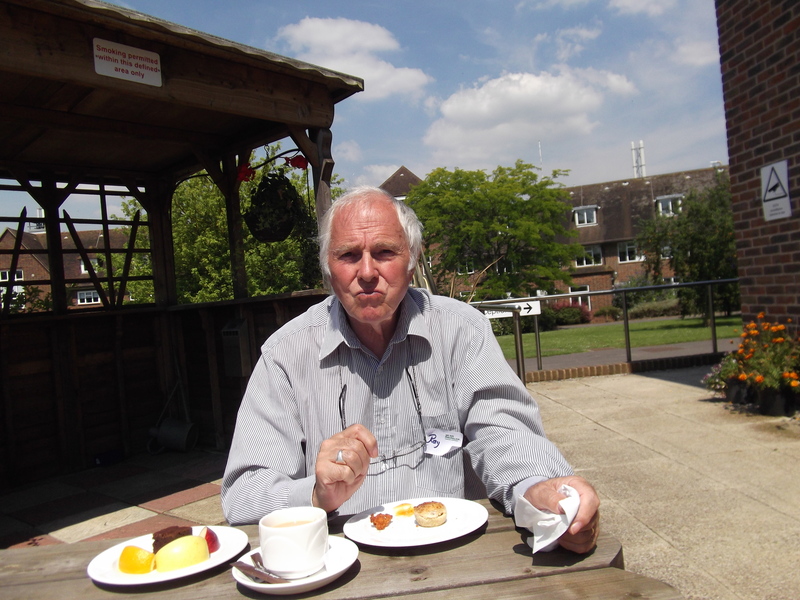 Ray and I worked with Julie Bullass (KENT AND MEDWAY CANCER NETWORK) and I bought the subject up of the long wait for Scan Results and the way they are not ready when we visit the Oncologist. We had to work out what might be wrong with the system and how we can resolve the problem –So We now have a plan of action which I will put into place in the next few days. Other in their groups did support groups, etc and one I will be most interested in and thats Cancer survival –exercises and nutrition, diets etc. We also became aware of the problem ahead for the NHS with the new reforms coming in and the fact that when you are diagnosed a set sum will be worked out for the cost of your treatment. I really must look at the reform and work out how that will hit my treatment in the future. One of the reasons given by the government for an overhaul of the English NHS was that survival rates for cancer treatments compared badly to other European countries. Ray did get a lot out of the day. he was lost at first being the only carer there but people spoke to him and gradually he was able to understand the day. We stopped for coffees and then lunch. Others came out and we sat and talk about the world in general and we all have got on so well. The day came to a close and we all said our goodbyes and now Im all trained up for The Patient Conference is on Saturday, 15th September 2012. which is the next date. Also we have received the forms to fill up for the mesothelioma UK Patient carers day in October which this year is at the Pullman Hotel 100-110 Euston road so my diary is getting full again. We arrived home tired and hot so we are chilling out now. 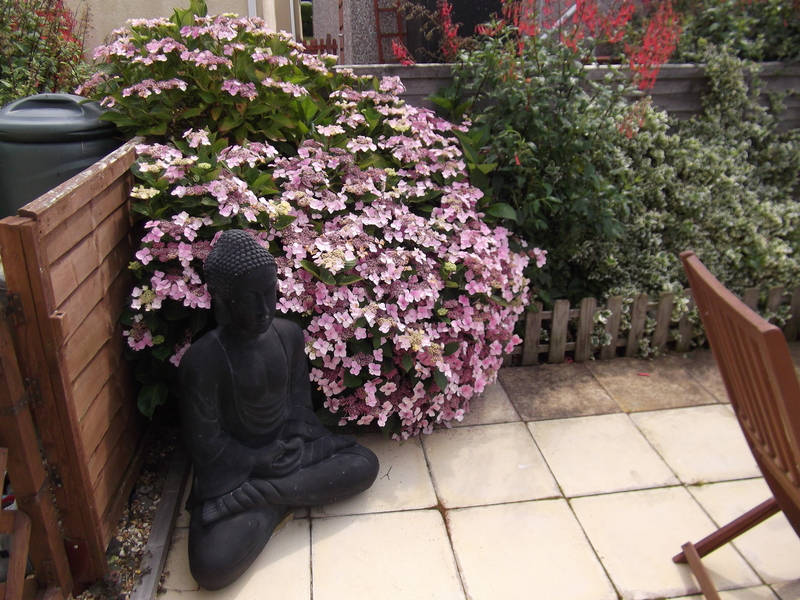 Living with mesothelioma –My Diary –another hot day –wonderful. We went through Whitstable and it was packed with traffic as people were driving to the coast to keep cool. We saw a poor cyclist who was knocked off his bike and the police were with him and helping him so there was nothing we could do. We went on to Tankerton and walked Louis and I called in the shops. Louis walked past all the dogs we met as I dropped the lead. I still forget and pull the lead tight sometimes –When will I learn its the owner not the dog !!!! We carried on to B&Q’s and bought a garden shredder. 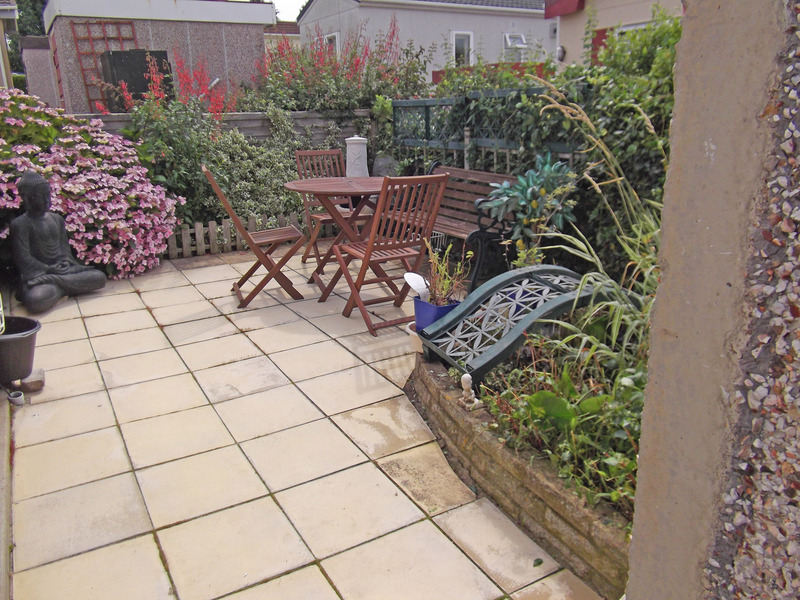 I had left mine when we sold the house and boy I wish we had bought it with us to Seasalter. This year everything has been growing so bushy and it is quiet a job to cut down and collect up to take to the skip. Now I will use the shredding s instead of bark on the garden. Well I have to get up early in the morning as its my Macmillan training day so i can report tomorrow what this is all about. The Daily Mail article is before the editor so Im looking forward to seeing it in print soon. So a shower and early to bed tonight. A ship management firm and a tour operator have been fined after workers were exposed to asbestos fibres during refurbishment work on board a luxury cruise ship operating in Scotland. Andrew Weir Shipping and All Leisure Holidays were prosecuted after work was carried out on the Hebridean Princess. Two men were hired to remove panels and fixings in a ship lounge without an asbestos survey being carried out. The firms pleaded guilty to regulation breaches at Teesside Magistrates Court. 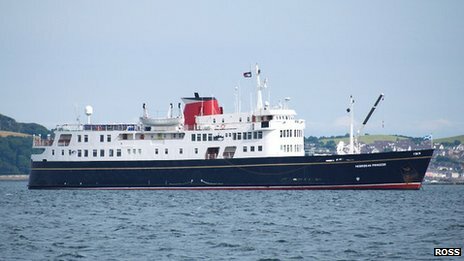 The court was told the Hebridean Princess, whose routes include the Western Isles, Orkney and Shetland, was bought in April 2009 by All Leisure Holidays. The tour operator took on Edinburgh-based Andrew Weir Shipping to manage the vessel. This golden spice, used in almost every meal in India is very valuable.”It is a very powerful healer. It prevents growth of cancer cells and thus can prevent cancer,”says Mumbai-based nutritionist Naini Setalvad. Its anti-inflammato ry properties reduces swelling caused due to pain.”It also said to prevent alzhiemers and said to reduce severity of pain caused due to arthritis,”says Mumbai-based nutritionist Maithili Pashtekar. This spice also acts as an antioxidant that helps lower cholesterol. Often used in coffees and other desserts, cinnamon is said to have the ability to reduce blood sugar levels.”This spice contains antioxidants that help lowering levels of bad cholesterol,”says Naini. More good news for women- including this spice in your diet will also ensure less painful cycles. Good ol’ginger candy has always been an instant cure to motion sickness or has curbed a feeling of nausea. The spice does more than that.”It improves your digestive process and prevents stomach disorders like flatulence,”says Naini. It is also said to regularize blood flow, thus maintaining your blood pressure. Holy basil or tulsi is said to be a great de-stressor as it”reduces levels of serotonin,”Maithili says. Try a tea made of basil leaves and ginger for relief from indigestion, headaches and fever. Chewing on leaves of basil could also reduce symptoms of bronchitis and asthma. This condiment lowers your chances of getting cancer. Other than that, according to Naini,”it helps in lowering bad cholesterol and keeping your blood pressure in control.”It also has anti viral properties and helps in clearing your sinuses.”It helps to digest iron and protein,”says Maithili. Garlic is also a powerful antioxidant that protects your body against damage from free radicals. Cumin powder in water with salt and lemon is probably the best way to curb a diarrhoea attack.”It also acts as a blood purifier and is an excellent remedy for stomach cramps,”says Naini. Due to its cooling properties, it is added to most drinks and juices during summer. Mustard seeds is said to curb the growth of cancer cells.”it also has anti inflammatory properties and is said to restore normal sleeping patterns in women with symptoms of menopause,”says Maithili. It also reduces severity of asthma and lowers high blood pressure. Saffron is a powerful antioxidant too.”It is said to be an anti-depressant and can cure bladder, liver and kidney disorders,”says Naini. A li’l saffron in your tea can relieve you of a cold too. Saffron also has antiseptic and anti inflammatory properties. Rubbing saffron on sore gums can provides relief. Known as elaichi, this spice is also effective in curing stomach cramps. It is also said to cure other stomach disorders like flatulence and acidity.”It also improves your circulation to your lungs, Maithili says. Boil water and add mint leaves and cardamom to it and have it to cure hiccups, suggests Naini. We should all make sure we eat these herbs.